In the heart of Montezuma County, at the very core of a small and vibrant elementary school in the center of Cortez, lies a pulsating epicenter. This epicenter is responsible for keeping the delicate engine of academia running. Without this vital systemic organ and the team that keeps it gliding along, all student educational advancements would come to a terrifying halt. The halls would instead be filled with endless crying, tantrums, and numerous other low-blood sugar challenges. The epicenter? The Kemper Elementary School cafeteria kitchen. And its valiant crew? The Lunch Ladies of Kemper. 8:15 am: The kitchen is aflutter with activity. Pots clang onto the eight-burner gas stove and bubble with the beginnings of a homemade gravy while little green trays rattle away to a fresh, clean start in the industrial dishwasher. Four women wearing worn maroon aprons work like a synchronized swim team, moving about the small kitchen space in choreographed movements. Breakfast has already been served to a flurry of 5-10-year-olds and the women are focused on the next task at hand – lunch for more than 450, including 130 parents tagging along. 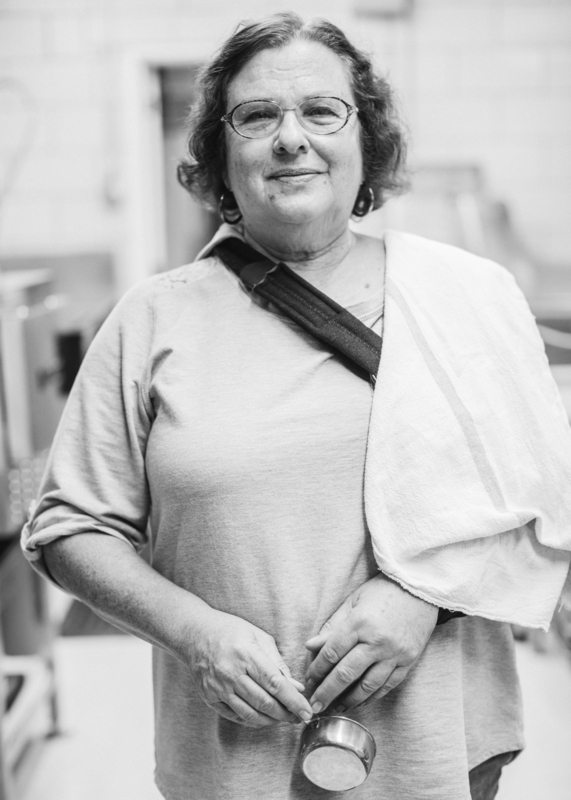 In the center of the kitchen is the gentle matriarch of the group, Norma Coppinger. A forgiving smile lights up the soft lines of her face and clear blue eyes hold 81 years of stories. Forty-two of those years have been spent cooking, baking and feeding the ever-growing and evolving students of Kemper Elementary. She has quelled a lot of hunger in her time. 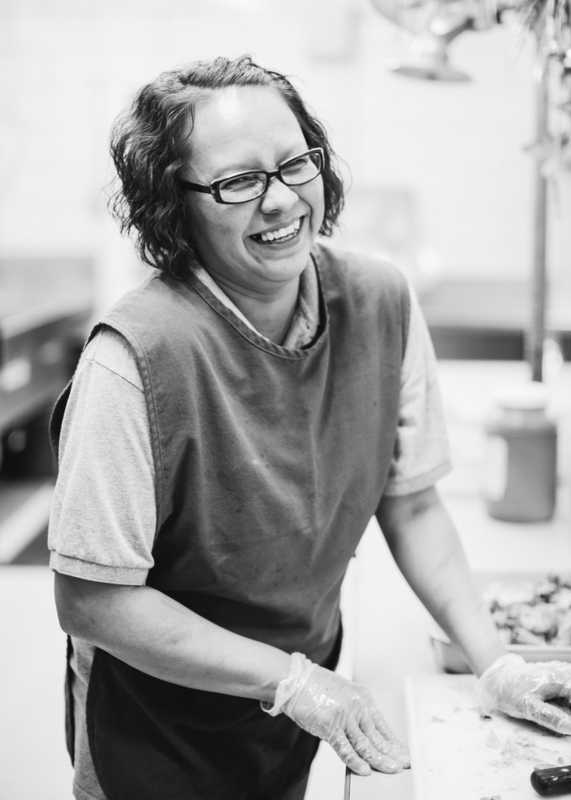 Together with Norma, this team of ladies regularly dishes up two feasts a day for more than 300 ravenous little beings. Top that with serving each course according to strict USDA school nutrition regulations for under $1.25 per meal; most of us would drop the ladle and run for the hills. Not these women. They seem to be composed of 2 parts steel, 1 part homemade soup of the day, and a dash of good humor for the long haul. 9:30 am: Lunch prep is fully underway. While her kitchen comrades Ursula and Donna dollop soft tufts of whipped cream onto hundreds of slices of freshly-baked pumpkin pie, Norma is engrossed in creating a homemade gravy that will make any kid feel like they’ve just landed at Grandma’s house. In a down-home, Zen master kind of way, she carefully stirs the savory concoction, sprinkles in spices, tastes, considers, and stirs again. She is unwavering in her pursuit of the perfect composition for her tiny eaters. There is something deeply comforting in watching Norma work. You long to be there all day, with your chin and fingertips resting on the counter, stomach growling in anticipation of the flavors wafting through the air. 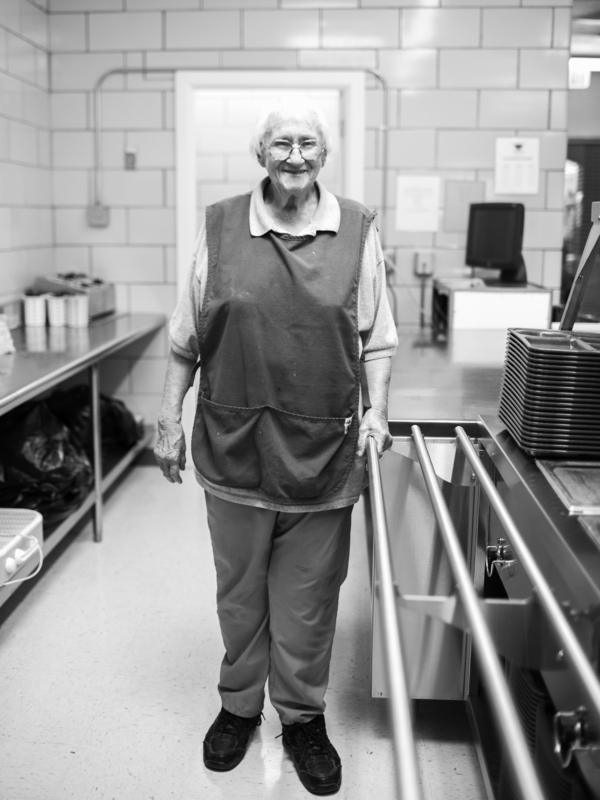 11:10 am: Margaret, the fourth in Norma’s ironclad lunch lady team, is commanding the dishwasher like a fighter pilot, cleaning up the last of the pots and pans as children’s chattering voices begin to fill the cafeteria. Voracious kindergarteners begin to swarm. Hungry little eyes stare up at Norma and her team while they dole out portions of turkey, gravy, hot rolls, and cups of fresh fruit and veggies. The ladies work with the efficiency of a highly-trained military team. Scoop, swoop, drop, and repeat. Parents that used to be Kemper students 20 years ago smile in recognition as Norma plops a serving of homemade goodness onto their plastic lunch tray. Love in a puddle of gravy seems to be the special of the day. 11:45 am: Norma calmly wipes her brow and glances down the line of students. Fourth graders in ever-ascending height follow third graders. 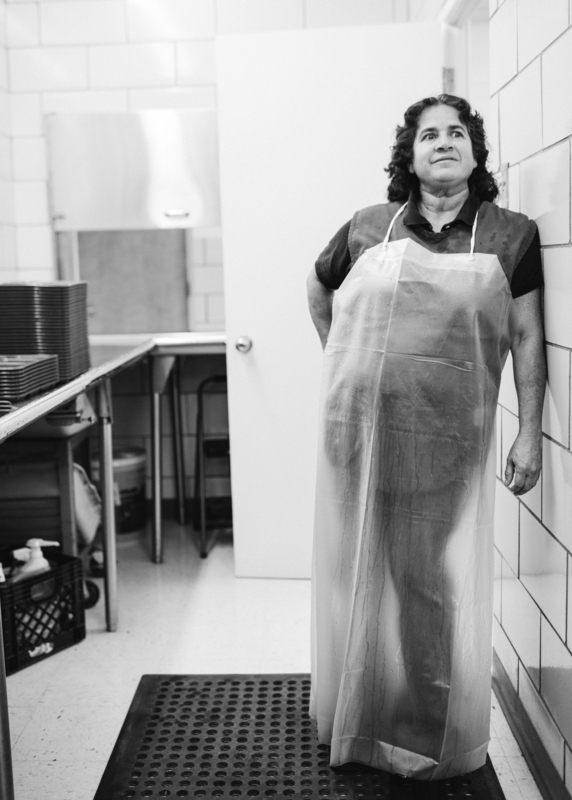 Their health and vigor are a testament to Norma and her team’s scratch cooking and nutrient-packed meals. Scoop, swoop, drop, and repeat. There’s no time to dawdle. 12:35 pm: The lunch ladies are wrapping it up, having satiated the last of the miniature humans and their adult counterparts for the day. Norma washes down the metal countertops and shuffles slowly into the inner sanctum of the kitchen to survey what other tasks remain. She’s tired. You can tell by the slight bend in her shoulders and weariness in her eyes. Standing on hard kitchen floors over a hot stove for years on end takes its toll. But she’ll be here tomorrow morning at 7 am along with the rest of the crew to do it all over again. Because that is what lunch ladies do. And what Norma has done for the past 42 years. They are the silent heartbeat of the school. Quietly giving strength to the littlest souls that are busy with the everyday business of learning. Resilient Farming in Durango turns out to mean YOU!